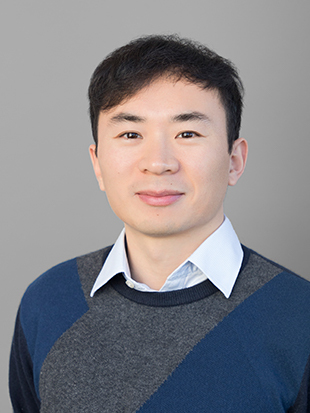 Chaojiang Wu is an Assistant Professor of Business Analytics at LeBow College of Business. Dr. Wu’s research develops quantitative methods in analyzing complex data for better decisions and also applies such methods to applications in business and other communities. His current research applies state of the art analytical methods to areas of financial assets investment, online Word of Mouth, and scholarly communications. His work has been published in journals such as Journal of Financial and Quantitative Analysis, IIE Transactions, Statistics and Computing, Computational Statistics and Data Analysis, and Journal of Informetrics, among others. Dr. Wu has also consulted as an Analytics Expert with the City of Philadelphia. Yan, Erjia, Wu, Chaojiang, and Song, Min, The Funding Factor: A Cross-disciplinary Examination of the Association Between Research Funding and Citation Impact. Scientometrics 115 (Year 2018): 369-384. Polak, George, Rogers, David, and Wu, Chaojiang, A Generalized Maximin Decision Model for Managing Risk and Measurable Uncertainty. IIE Transactions 49 (Year 2017): 956-966. Guo, Hui, Wu, Chaojiang, and Yu, Yan, Time-Varying Beta and the Value Premium. Journal of Financial and Quantitative Analysis 52 (Year 2017): 1551-1576. Wu, Chaojiang, Hill, Chelsey, and Yan, Erjia, Disciplinary Knowledge Diffusion in Business Research. Journal of Informetrics 11 (Year 2017): 655-668. Yu, Yan, Wu, Chaojiang, and Zhang, Yuankun, Penalised Spline Estimation for Generalised Partially Linear Single-Index Models. Statistics and Computing 27 (Year 2017): 571-582. Wu, Chaojiang, Mai, Feng, and Yu, Yan, Teaching Data Mining to Business Undergraduate Students Using R. Business Education Innovation Journal 7 (Dec 2015): 64-73. Wu, Chaojiang, and Yu, Yan, Partially Linear Modeling of Conditional Quantiles Using Penalized Splines. Computational Statistics and Data Analysis 77 (Sep 2014): 170-187. Analyzing journal citations provided Chaojiang Wu and his co-authors an objective way of documenting the sharing of knowledge across academic disciplines.